This half a mile long promenade, named after it’s architect and built in 1769 at the military’s behest, is today a popular spot for a twilight stroll in Brest. It is lined with elm-trees, looks over the commercial port of Brest, and ends at the entrance to Brest Castle – as pretty a package as any walk could be. 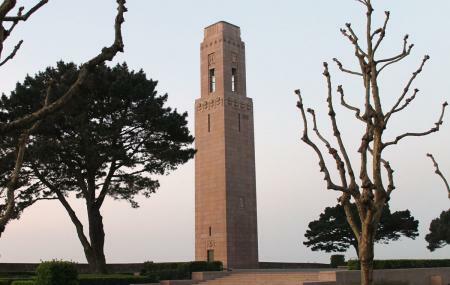 The Rose Tower: an WWI American monument. The Jean Cras Monument: a plaque dedicated to an Admiral who invented the Cras Rule (a mapping technique), but was also a musician of some note. When the weather is nice, it’s a very peaceful place. Trivia: The 2008 Tour de France started here. How popular is Cours Dajot? People normally club together Brest Castle National And Navy Museum and Oceanopolis while planning their visit to Cours Dajot.